A PS3 Camera is included for this. You may also be interested in downloading Aered, our sheet music editor designed specifically for drummers. Windows or Mac computer from 2009 or later. 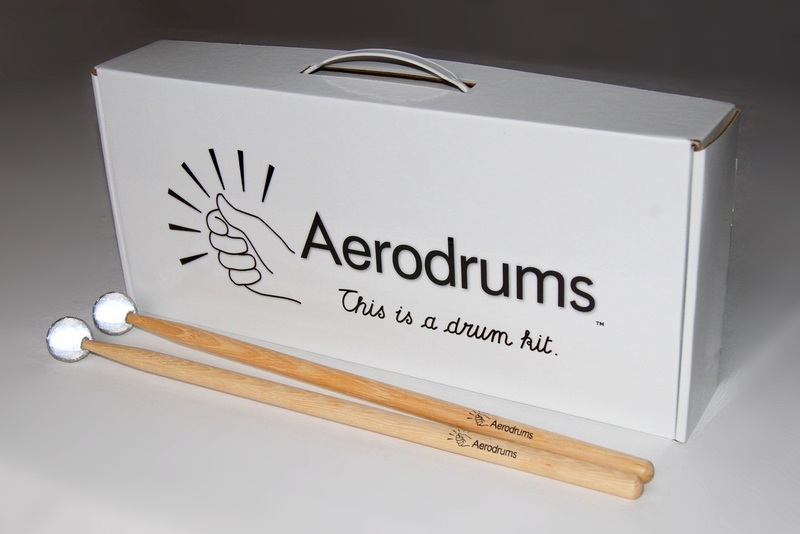 Aerodrums is compatible with Windows Vista, 7, 8 and 10, and Mac OS X 10.6 and up. One time internet access to download the software and samples (873 MB for Windows PC, 898 MB for Mac). Check our FAQ for answers to common questions. ​Limitations: Aerodrums cannot be used to drum outdoors in daylight. 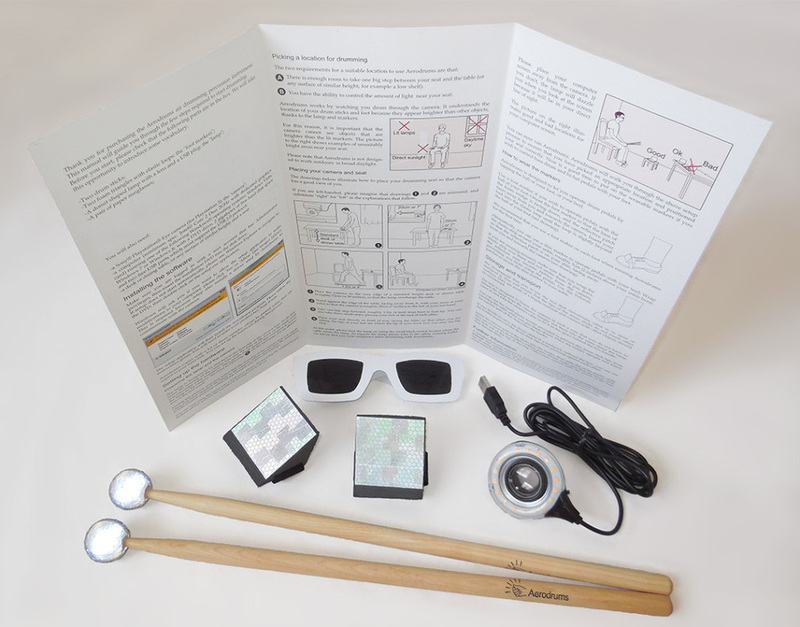 Aerodrums uses a light that can seem very bright in low light environments, paper sunglasses are included to protect your eyes when needed. Comes with a pair of Drumsticks, Foot Reflectors, Sunglasses and a Light. Also included is a PS3 Camera.